There are many factors that go into running a successful VR Arcade, and offering premium content is certainly near the top of the list. It is very important an arcade owner is familiar with their library, and have a carefully curated library of high end VR experiences to have a successful VR arcade. 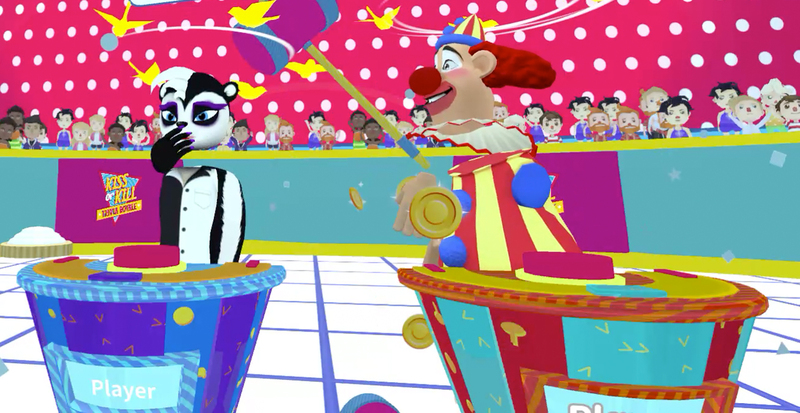 We sat down with Nick Robinson, Co-founder and CEO of RLTY CHK to discuss their VR title, VR Trivia Battle, to learn how they created a high end game that has fared well in the out-of-home VR space. Can you tell us about VR Trivia Battle, and why you believe it is a great title for location-based VR? What was the inspiration behind creating VR Trivia Battle? How long is the game/experience? Does it play through in one sitting or are there multiple levels, or chapters? What makes the player want to play it or watch it again? What mechanics/storylines/etc makes your game a blast? Did you learn anything from working on other VR titles? Can you tell us what you are working on next? Do you have any tips or tricks the player should know? Add VR Trivia Battle to your VR Arcade library today! Now priced at 6 cents per minute! Never Miss an Update ! SpringboardVR is a station management, game launching and content distribution platform for location-based VR that transforms the customer experience. Whether you’re thinking about starting a VR arcade, or running a large location-based VR center, SpringboardVR can help.